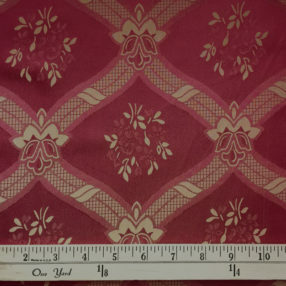 This lovely 100% silk damask in Victorian Red has a large, stylized diamond pattern with floral motifs in luminous beige. Even the back side looks great! 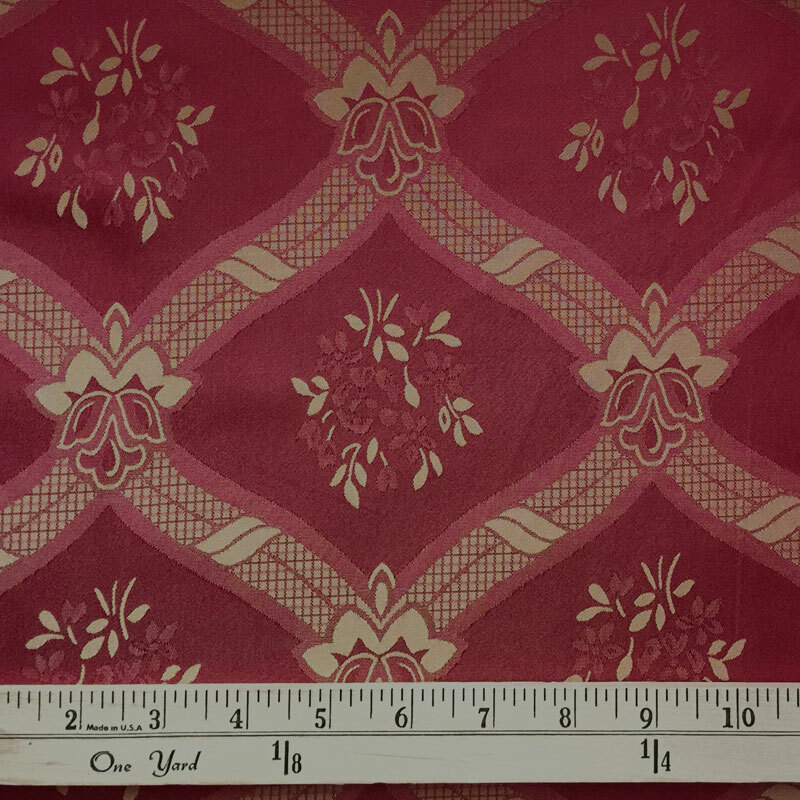 It has about the same weight as a taffeta and is great for a Victorian dress.